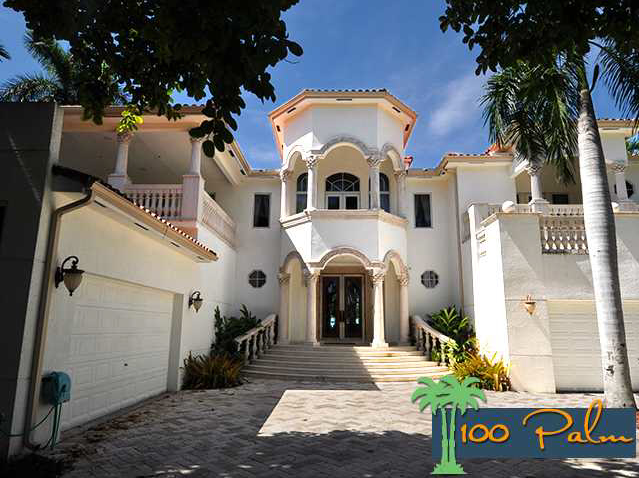 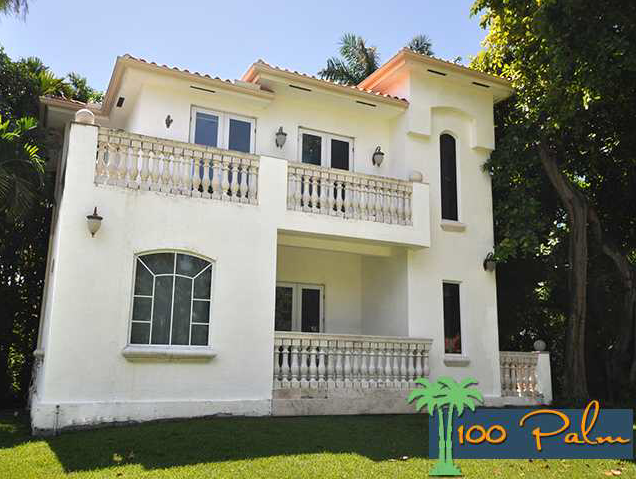 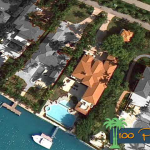 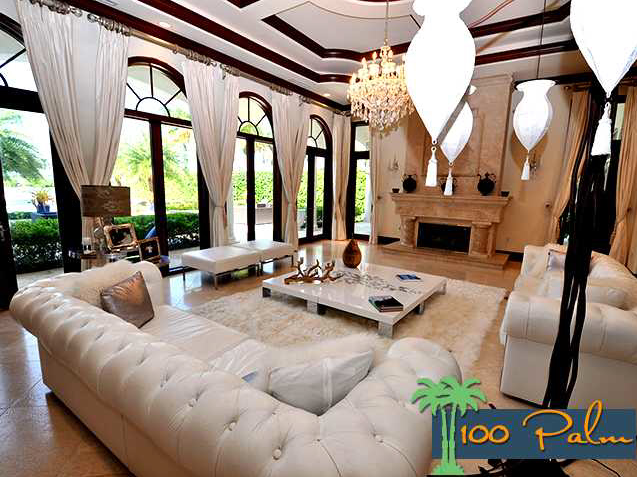 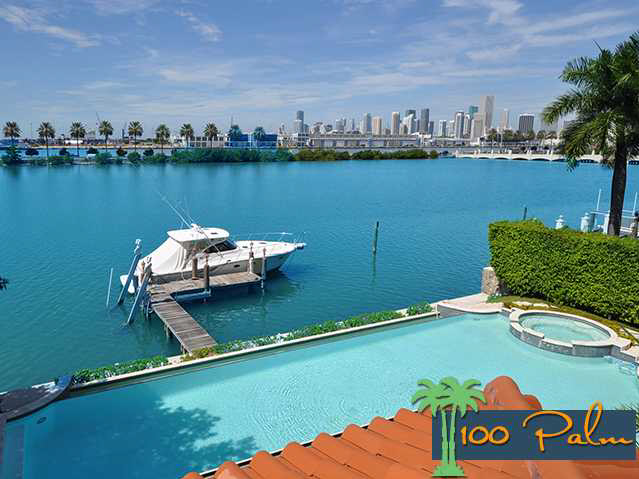 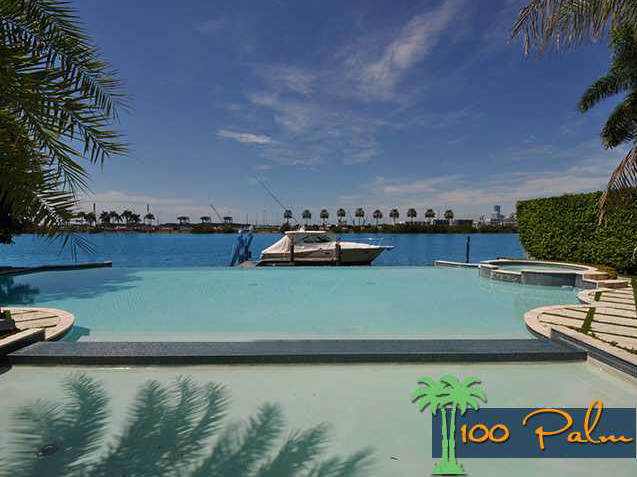 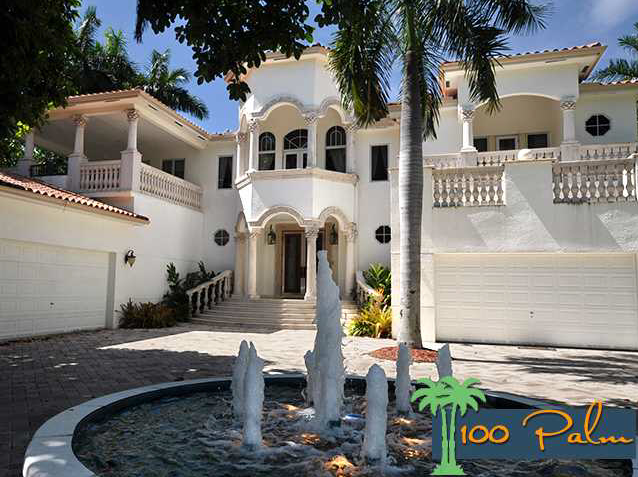 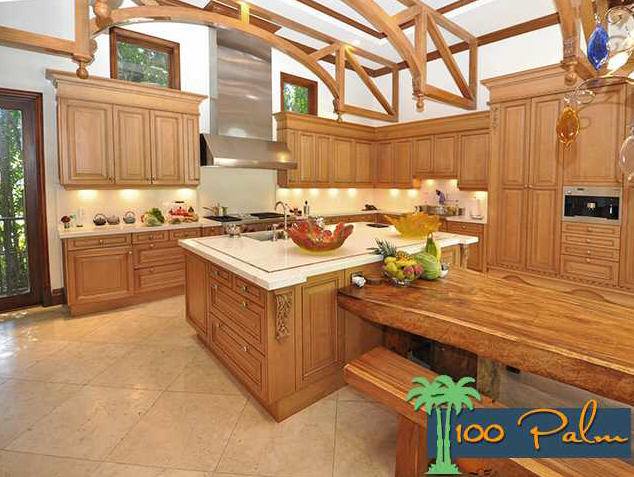 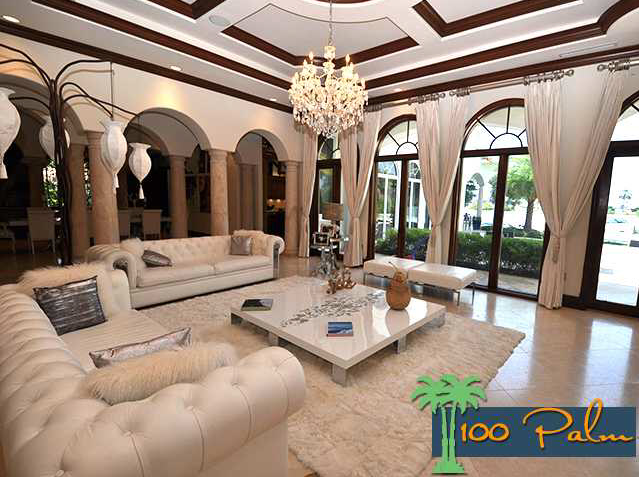 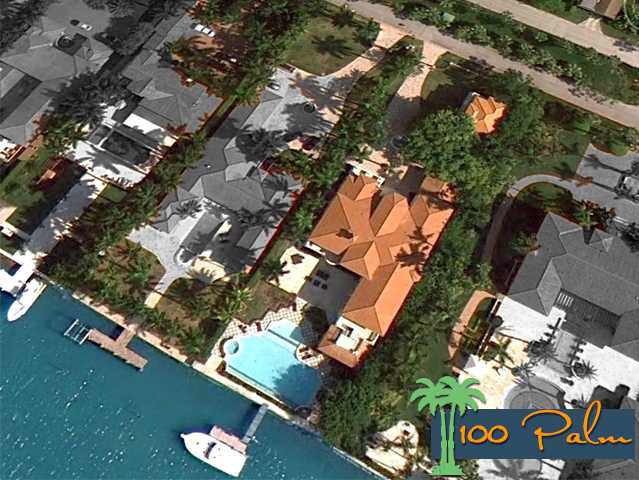 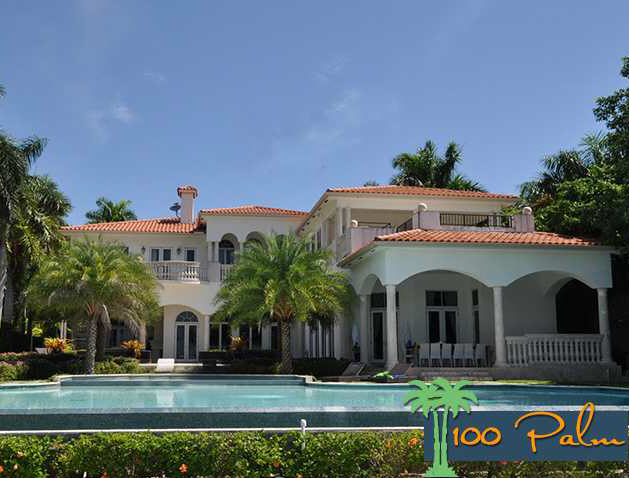 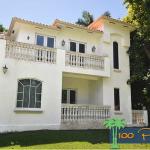 This Mediterranean waterfront mansion is located at 100 Palm Avenue on Palm Island in Miami Beach, FL. 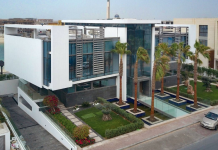 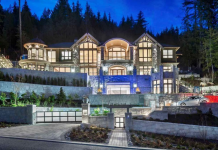 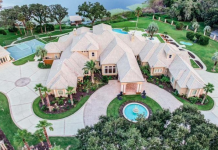 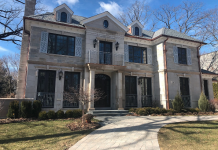 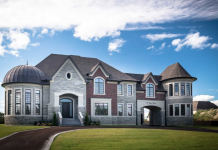 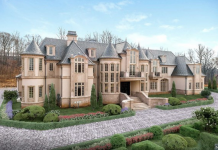 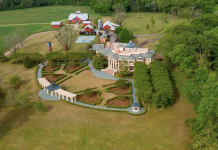 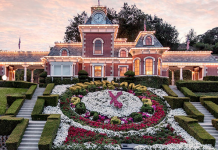 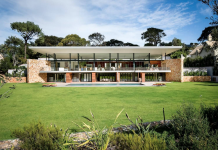 It was built in 2006 and features 12,052 square feet of living space with 10 bedrooms and 12 bathrooms. 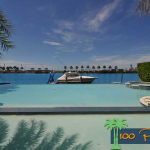 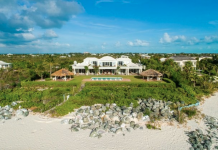 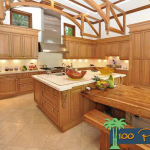 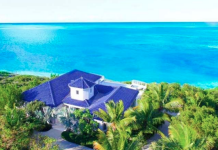 Other features include a 4-car garage, swimming pool, boat dock and a guest house. 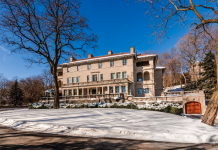 It is listed at $23,400,000. 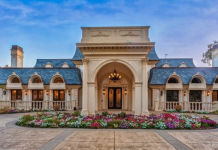 I think the price is VERY optimistic, considering music producer Scott Storch’s mansion (which is 2 houses away and nearly twice the size) sold at auction for just $5.5 million.